Thanks for stopping by today. 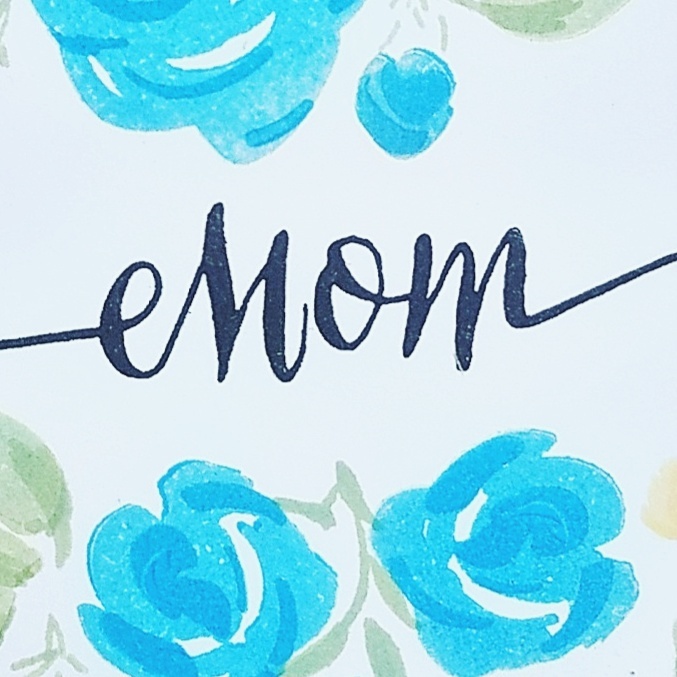 I've got a sneak peek of my card coming up on the Butterfly Reflections, Ink blog tomorrow, and naturally it's all about Mother's Day! Today I'd like to give some ideas on how to get over a creative slump. I have learned that the creative process can be extremely draining and tiring, even when you do have lots of ideas for your projects. But when the ideas seem to be few and far between, the process is even more tiring! Here are some suggestions for getting the creative juices flowing again. This one is actually the hardest one for me. I HATE leaving anything unfinished, and it drives me crazy to step away from my projects sometimes. But I have found that, just like working in the financial industry (which is what I do full time), if you walk away from something and then put fresh eyes on it after a period of down-time, you'll come back with an even better perspective! I have a few good friends who are very gifted photographers and when I see their work, I am always slightly envious because I could never re-create the same beauty that's captured in a photograph, and God has created that world for us to live in. My favorite colors are not found in paints, inks, markers, or colored pencils. The most inspiring color schemes are the natural ones found outside! So take a walk in the great outdoors and see what this lovely earth has to offer. Sometimes we feel this unspoken pressure to re-invent the wheel every time we sit down to create. Consider this: How many paintings of landscapes exist in the world? Yet each one is unique and beautiful in its own right, and appreciated for different reasons. Re-visit an old technique that you have done before and love working with, and the inspiration for a new creation won't be long in coming. 4. Walk With a Pencil in Hand. I never go anywhere without a sketchbook and a pencil, because I never know when I'll see something that inspires me. If I think of an idea for a card layout, I'll do a quick sketch of it in my book. Thankfully I always have my phone with me, so I can also take pictures of clothes, dishes, or any other various and sundry random objects that inspire me. I'm sure I have concerned many a store employee as I've walked through different places snapping pictures of their wares so that I can remember the color scheme or pattern later and incorporate it into a card. 5. Walk Another Creative's Path. This one is probably the most helpful. A year and a half ago when I first started to get into card making, I had a conversation with my sister in law (a very talented artist) about inspiration. She told me that one of her college professors encouraged all of her students to constantly look at other's artworks. Not only did this encouragement keep the students' perspectives in a healthy place by not vainly studying their own work alone, but by looking at other's creations, they were constantly challenged and pushed by asking questions. "When you look at a work of art, you have a reaction. In analyzing that reaction, you will better understand the artistic process." I had the privilege of sitting down with this professor at a casual meal many months later and sharing with her that even though I had never taken any of her classes, these words of wisdom affected me vicariously through one of her former students. Thanks for taking the time to read! I am by no means an expert in any of these suggestions, but maybe they'll be helpful to you on your artistic journey. Never stop creating!